Providers of Accommodation and Support (PAS) was set up in Bournemouth in 1999 by Denis and Fiona Dixon with a commitment to be passionate about people and creative about housing. By providing sustainable homes with specialised support and compassionate care the aim was to empower people to take control of their own lives and make informed decisions to promote their well-being, education and employment. Working in partnership with public sector agencies, our services were aligned to government policies of the time. Although government policy has changed considerably, the range of vulnerable client groups in need of housing and support has remained and the flexibility of the company has demonstrated its ongoing commitment. In 2001 changes at central government level offered greater opportunities than ever before for private companies and statutory agencies to work together for service improvement. Supporting People (SP) funding and the Local Authority Quality Assessment Framework (QAF) set out to regulate the standards of housing and support delivered to vulnerable single adults through Supporting People contracts. PAS was amongst the first in the area to achieve the required QAF performance standard. When government policy changed from housing people in bed and breakfast accommodation, PAS was invited to work with the local authority in Bournemouth to provide alternative accommodation. In the next decade the company went from strength to strength, working positively with local authority and SP teams, purchasing properties and delivering services to support independent living. In 2003 an opportunity arose in Cornwall and PAS took on three new hostel based projects, providing significant investment to bring them up to current standards. By 2005, working in partnership with the local authority, PAS had taken on five further properties in Newquay. Penwith District Council and PAS jointly acknowledged that the shortage of affordable accommodation and over-use of bed and breakfast accommodation over the longer term was underpinned, in some cases, by the reluctance of traditional registered social landlords to provide more permanent housing solutions for single homeless households. Also in 2005 we decided to become a Registered Provider of Social Housing. We achieved this status in January 2007 with Homes and Communities Agency approval. Following consultation and advice from stakeholders, PAS Housing Association (PASHA) was formed as a charity to separate the accommodation arm of the business and to provide safe, decent accommodation and support for single homeless people, some with complex needs, who were previously rough sleeping. The aim was to support vulnerable people to overcome the barriers to independent living and identify and secure suitable long-term housing solutions. In 2008 the Cornwall SP five-year strategy recognised the lack of service provision for clients with chaotic lives and the Drugs and Alcohol Action Team needs analysis also identified gaps in crisis accommodation. Joined-up working enabled PAS to expand its service provision for vulnerable single people and, by early 2010, PAS was a well-established housing and support provider working with local authority partners throughout Dorset and Cornwall. In Bournemouth, with funding cuts on the horizon and partners seeking support services for more chaotic client groups, 2012 saw PAS working in partnership with the local authority, health and other service providers looking at new ways to reshape service provision for single homeless people. This was testament to the knowledge, skills and experience the company now offered along with a service model tailored to support clients’ progress from high level to reduced levels of support. As expert service providers offering tailored support into independent living PAS now specialised in risk management of the most vulnerable clients. In 2014 the company was invited to provide accommodation and support for some of the most chaotic clients in the area. With an awareness that housing, support and care work together for the benefit of vulnerable people, in 2016 the company bought All Time Care, a Care Quality Commission registered care provider. This expanded our skills set, facilitating our increased ability to provide services for vulnerable clients, including those with learning difficulties. 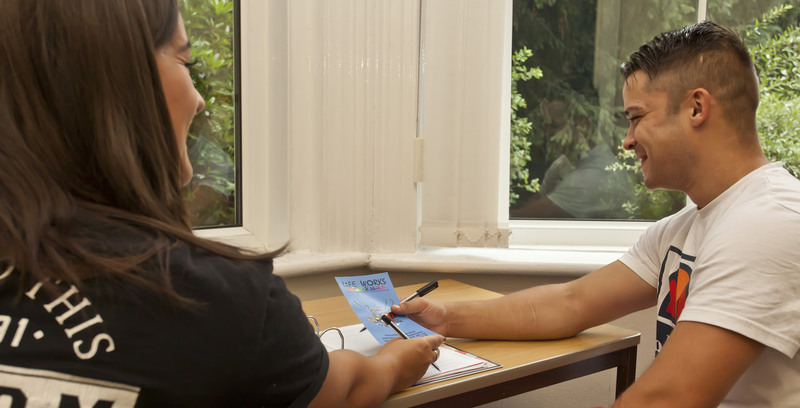 By 2017 we were part of the pilot service, ‘Housing First’, providing intensive support to clients living independently. Further value was added by working with partner agencies across Bournemouth and Poole to successfully deliver floating support to vulnerable clients including those with complex needs. At a time of increased demand for specialised supported housing the company enjoyed 37% growth, our newly constituted board decided on a growth strategy and a new property services team now provides support for further expansion. To better reflect the range of services we now offer we rebranded as Pivotal Homes Group. Pivotal Homes Group has built its reputation as a quality service provider on strong, positive partnering relationships and the provision of well-chosen, well-maintained properties in appropriate locations. Our flexible model of accommodation and support, underpinned by clear policies and services, is delivered by well-trained staff. We know investment in our people is the key to our success and we have been accredited by Investors in People since 2005. Our in-house and external training courses ensure staff at every level provide the high standards of operational, procedural and people related skills recognised by our stakeholders. In 1999 Providers of Accommodation and Support began with a commitment to be passionate about people and creative about housing by providing sustainable homes with specialised support and compassionate care. Early in 2017 our newly constituted board decided to grow the organisation in alignment with our purpose “to do more good, for more people” and our mission to provide more “sustainable homes with specialised support and compassionate care”. In 2018, the Pivotal Homes Group is proud to provide quality housing and support services to almost 400 single vulnerable people with a variety of needs. In alignment with our values we remain as “passionate, caring and creative” as we have always been and our vision is to continue to provide more support, care and safe housing that vulnerable people can call “home”.